This week, Your News to Know brings you the latest happenings from the world of finance and the gold market. Stories include: Gold heading for best year in the past four, a Franklin Templeton fund manager says gold will gain in 2017, and China boosts overseas gold purchases as yuan slumps. Gold may have had a tremendous year so far, but a recent poll by Reuters suggest that there are even bigger things in store for the yellow metal. 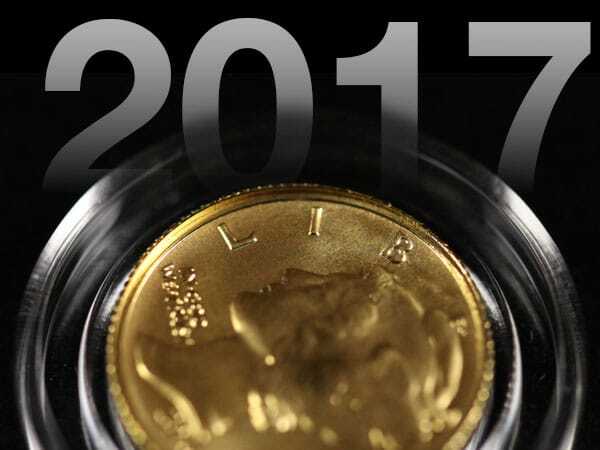 The poll, which had 35 analysts and traders voice their opinion on precious metals in the near future, returned an average gold price forecast of $1,331 an ounce for 2017. This marks the highest average since 2013. Last year’s prediction of the 2016 average was $1,270 an ounce, above the current average of $1,258. This shows forecasters expect a strong performance in the fourth quarter, when the metal is expected to average $1,300. While gold has had some setbacks in recent months, prices have somewhat recovered due to continued dovish statements from the Fed. Analysts expect that the upcoming holiday season in China and India will further bolster gold prices by year’s end. The poll also showed that analysts expect silver to bounce back with an average of $17.50 an ounce this year and $18.90 the next – if accurate, it will be silver’s strongest year since 2014. “Silver will rise in 2017 and might even rise faster than gold, as the gold-to-silver ratio seems to be reversing downwards after hitting the historical resistance range of 80-85,” said Phillip Futures. While many are carefully watching the Fed’s next move, Executive Chairman of Templeton Emerging Markets Group, Mark Mobius, doesn’t see a lot of hiking happening in the near future. Even if there is an increase in rates, the chairman argues that it won’t necessarily translate to the yellow metal losing its appeal. Mobius’ statements echo those from participants at last week’s London Bullion Market Association conference in Singapore. When surveyed, they predicted bullion would trade at $1,347 an ounce in a year’s time, which is close to its recent two-year high of $1,375 in July. Gold is up 19% so far this year due to concerns over the global economy, loose monetary policies and the U.K. passing a vote to leave the European Union. As Chinese policy makers signaled a willingness to allow greater currency flexibility amid a slump in exports, the offshore yuan sunk to its lowest level in six years and is now down over 4% since the start of 2016. In response to the yuan’s struggles, Chinese investors have bought more gold, as evidenced by the country raising its bullion imports from Hong Kong for the first time in four months. According to data compiled by Bloomberg, mainland China’s net purchases of gold from Hong Kong were 44.9 tons in September, up from 41.9 tons in August. Furthermore, shipments of gold from Switzerland to China rose to 35.5 tons last month from 19.9 tons in August – the European country is known as a major gold-trading center and is home to several refineries. Goldman Sachs Group Inc. said in a note that additional losses in China’s currency and concerns over the outlook for the nation’s property market could spur gold demand from Chinese investors even further. “The depreciation of the yuan and the property investment clampdown were both positive factors for the rebound in imports as domestic investors seek to diversify portfolios,” said Wayne Gordon, executive director for commodities and foreign exchange at UBS Group AG’s wealth management unit.